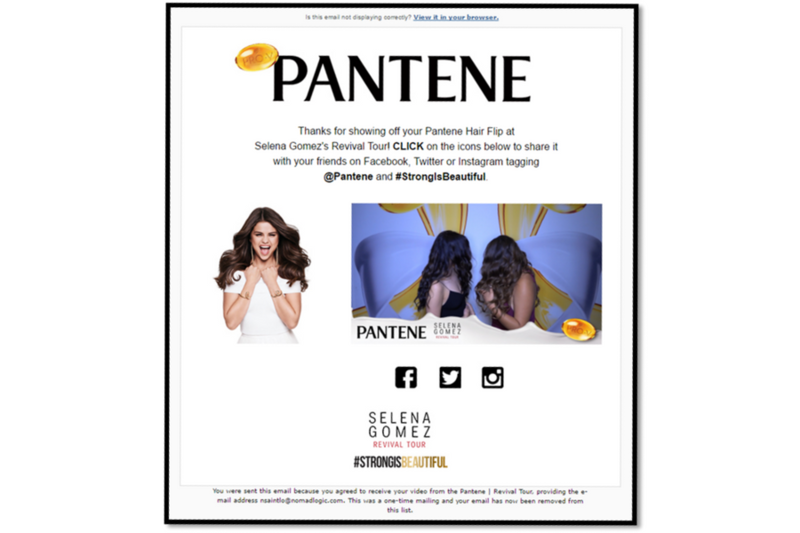 Pantene’s activation of Selena Gomez’ Revival Tour! Pantene sought to activate its endorsement relationship with Selena Gomez at 52 shows of her North American Revival Tour. The brand’s agencies selected Nomad Logic to engage Selena’s fans in a relevant, impactful and fun way. The main objective of these activations was for the fans to share and thus amplify their brand experience at the shows with a much wider audience using social media channels. 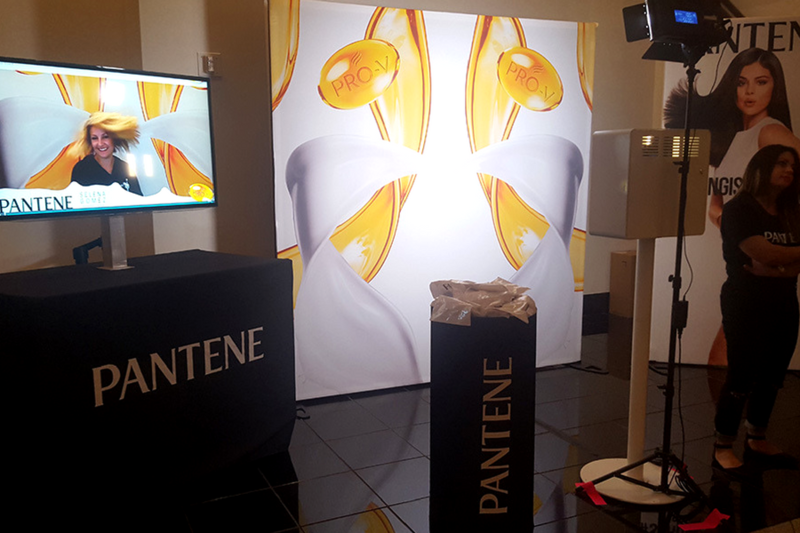 We set-up a slow motion video station so fans could re-enact Selena’s signature hair flip portrayed in Pantene’s commercials. They got in front of the high-resolution camera and had a blast performing a glamorous hair flip. The videos were instantly edited in a slow motion Pantene-branded consumercial that was instantly sent to Selena’s fans by email and text. Fans shared their user-generated content with their friends through social media (Facebook, Instagram, Twitter). Social sharing generated tens of thousands of digital impressions which increased both brand awareness and reach. Match Selena’s signature hair flip!